First and foremost, thank you for posting your fishing reports. I read them and appreciate the information. I no nothing about meat rigs but hear a lot about them and would like to try them. What is the bait you use in them and where do you get it? 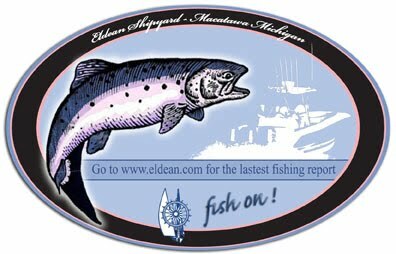 Alewives, smelt? It is a strip of meat that comes in a pack of 6 or so that are sold at many of the fishing stores. You can just keep it frozen until you need it. With many of the the lures, the meat strips fasten to the lures with a toothpick. Wed, Sept 19. Fished N. Pier Port Sheldon. Two hours 3 coho, 2 misses. Casting about 1/2 way down from shore. Used large white/clear bass plug (diver). Bit windy but fish were in. Thanks. This is the best one day tournament on the lake. 84 boats signed up last year.